Food policies that are based on evidence and advocacy delivered by citizens are more likely to benefit the people most affected by these policies. At this week’s City University Food Policy Symposium, we heard how connecting people to policy can help secure healthy and more sustainable diets for everyone. Many of today’s social and environmental problems stem from the food we eat: our diets are making us unhealthy, putting huge burdens on public health systems everywhere, and depleting our water and natural resources. What if we all had healthier, more sustainable diets? Sounds good, but what does this look like in practice? Experts’ opinions about the right kinds of diets and the policies needed to achieve them are often blind to the realities of how people, especially those with low incomes, experience food in their daily lives. 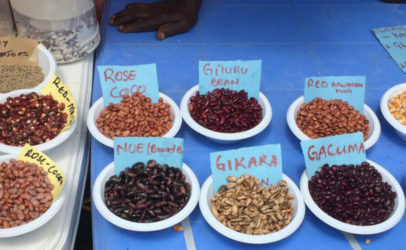 IIED, Hivos and partners are taking a citizen-led approach to food research and policy making in the Sustainable Diets for All (SD4All) programme. 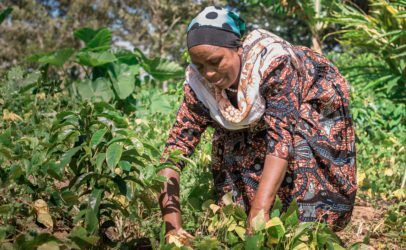 We are working with civil society organisations (CSOs) in developing countries to understand the food issues that matter to people in their own contexts, such as low-income citizens who use and work in the food system. The evidence we gather directly from them can support their own policy agenda, which will help make policy more relevant to their daily lives and needs. We have developed two new resources, a food systems advocacy toolkit and a report on citizen-generated evidence. These are aimed at helping CSOs and citizens find common ground on diet related issues, and work together through evidence generation and advocacy to defend and improve food systems, particularly in the informal sector. These two documents were launched during the City University Food Policy Symposium. 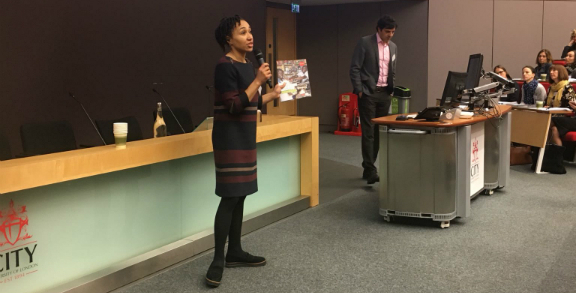 The event’s theme ‘connecting people with food policy’ explored how gathering, translating and using evidence of lived experience of food-related problems can make food policy more relevant to people most affected by the policy. What is citizen-led evidence, and why do we need it? Far too often, the day to day realities of low-income people and the informal markets that form the backbone of their food consumption habits are invisible to policy makers. Without clear, visible evidence of the food-related problems low-income citizens face, outsiders make assumptions about their priorities, knowledge and agency. This can heighten political exclusion and lead to legislation, planning and allocation of resources that may at best overlook and at worst run counter to the interests of underprivileged groups. We need new ways of connecting citizens to policy making. Citizen-generated evidence, either through primary data collection or from gaining access to existing information, creates a crucial inroad for dialogue between low-income people and the policy makers that make decisions on food system issues that impact their daily lives. 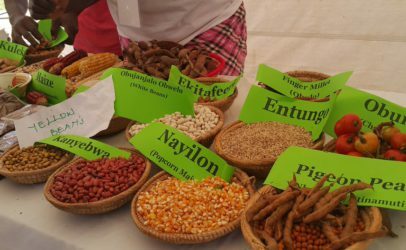 This was demonstrated when food producers and street vendors gathered with policy makers in a Zambian ‘food lab’ to map different elements of the local food system in Chongwe district. Issues, actors and policies within the food system were identified bringing new perspectives to policy makers. 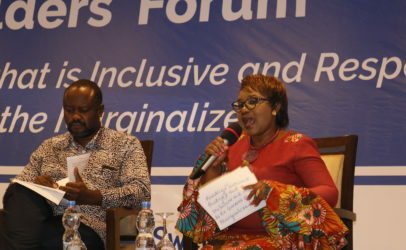 The enduring tendency towards ‘participation-lite’ advocacy techniques and tools that extract information from communities without involving them in agenda setting, or fail to create spaces for citizens where political decisions are made, must also be challenged. Advocacy delivered by or with people who live with the consequences of limited dietary choice is often very powerful, particularly when this work goes beyond providing citizen ‘voice’ and extends to citizen inclusion in all steps of an advocacy planning process. To successfully engage citizens in advocacy, our approaches are designed around the constraints citizens face, in particular women in low-income countries, where heavy labour pressures and household and family commitments mean they are unable to participate in advocacy planning workshops. Illiteracy is a further challenge which is more common in women than men so workshops can be delivered in small group discussions in the local language. So where to from here? Policymakers, urban and rural local government officials and non-governmental organisations (NGOs) themselves need to adapt their learning style to seek out, value and interpret citizen-generated evidence and respond to calls to action from citizen groups. A more diagnostic and collaborative approach from policy makers will give low-income citizens reason to trust the policy process. 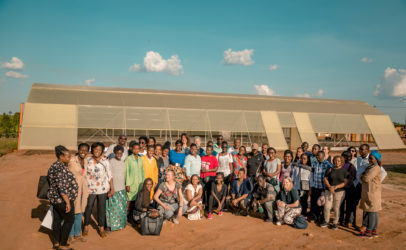 This will mark a welcome step forward from the status quo where low-income citizens are often suspicious of initiatives that seek to ‘improve’ their food system, as many such improvements in the past have not tangibly improved lives. Rather than telling low-income people what they should eat, it is time to listen to them, to work with them to record dietary patterns through food diaries, to document food culture through photo stories and video, and support citizen groups to change the way that policy makers think. This blog post was edited slightly to comply with our editorial guidelines.